This FREE. STUDENT DIRECTED creative writing lesson plan increases fluency and is fun. It is a perfect beginning of the week activity to wake up the writing juices, or to use when there is extra time left and you have nothing to fill it with. 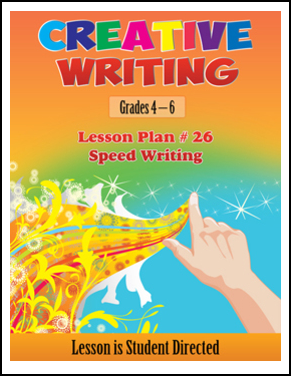 Students really enjoy speed writing! 5. Two scoring guides (one includes the six traits of writing) so students know what the expectations are, how they will be evaluated, and allows them to grade their own papers before turning it in for the final teacher evaluation.